The new year 2016 has already started. In case they have not done so yet, it is time now for companies to think about what to change and how to improve. It is also a good time to think about the integration of „Employer Branding“ into the company’s program. A survey conducted by the digital marketing institute „Marketagent.com“ showed that 29,4% of the interviewed persons think that an attractive homepage of the company has very big influence on their decision to apply. 21,6% have the opinion that the communication of the company’s philosophy plays a big role. However very little firms occupy themselves with the creation of a so-called „Employer Brand“, especially small ones are afraid of doing so. But in particular these smaller companies can profit a lot from such a „brand“. So what actually is this „Employer Branding“ and is it worth it to put some effort and time in it? Nowadays it became hard to find good qualified employees and it is not enough to just advertise with „a young and dynamic working atmosphere“ any more. The departments of marketing and HR have to work together very closely to design attractive job ads that communicate the company’s culture. In the survey 53,6% of the active job-seekers indicated that the quality of job ads very much influences their opinion about the company. For that reason it is extremely important to be creative and clever in designing them. Talented and attractive employees got very rare and employers really have to fight for them. 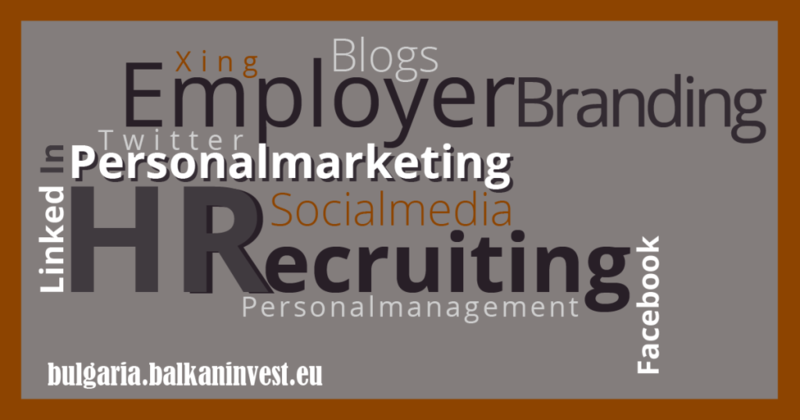 More precisely spoken the Employer Branding can be seen as a part of the Inbound Marketing in which the concentration lies on informative and highly qualitative content focused on a company as an employer. Social Media and Blogs have become popular auxiliary tools to deal with. While social media more concentrates on the quantity of people reached, blogs lie the focus on the quality of the content. Both are followed by the advantage that the target group will be formed by itself. Also with both tools it is important that content is published on a regular basis to stay in contact with interested people. Through these online activities some kind of relationship is built between the readers and the company that has to be fostered in the future. In this „war for talents“ smaller companies often get lost. Competing successfully against big corporations with huge marketing-budgets is not easy, but certainly not impossible! Also smaller companies can be attractive for applicants, the most important thing for them is to be special. Communication of the company’s core values to the outside: corporations like Apple, Google or EY surely have the abilities to offer great offices and cars to their employees, but very often this is not what really attracts new employees. In order to be able to keep your workers on the long term as loyal employees, you already have to start with the design of a creative job ad. The promise that is given there has to be kept so that new employees do not get frustrated. Identification with the firm’s identity: to be able to set oneself apart from other companies, it is even more important for smaller firms to identify their characteristics and philosophy. In the next step they have to be communicated to the outside. Very often stereotypes like „international environment“, „young, dynamic team“ and „attractive remuneration“ are used to attract new employees -although especially small firms could have the advantage of being able to advertise with nice, informal working atmosphere. Being authentic and knowing what you stand for is more important than you think. Closer cooperation between the departments: for the reason that in smaller companies there are not that many employees and the offices are not that big, direct communication and cooperation between the departments is possible. There are less misunderstandings and conflicts. Working in teams and having flat hierarchies are important factors for many people and also have positive effects on the firm’s success. Basically many talented people working for big companies are looking for a new job opportunity which promises less red tape. For the reason that these characteristics cannot be found in big corporations, it can be seen as a big advantage of smaller companies. Individual handling of the employees’ desires: the working environment and the requirements of workers change a lot over time. While in the past criteria like a secure workplace with a fixed salary were considered to be very attractive, today things like home-office or performance-related payments count. Being flexible in order to fulfil the workers’ wishes is only possible for smaller companies compared to big corporations, because most of the time big companies have to stick to strict rules and structured processes. Through the former presented arguments readers shall see that small companies often can advertise with many benefits against big corporations. They just have to recognize them. If they are able to identify their own culture, the „Employer Brand“ will establish itself on its own, while the role of the firm is to communicate it to the outside. Therefore integrating Employer Branding into future programs, in particular if you are a SME, is totally worth it and makes your company fit for the future! Previous PostEmployee motivation as part of Employer Branding – part 2Next PostMerry Christmas and Happy Holidays!